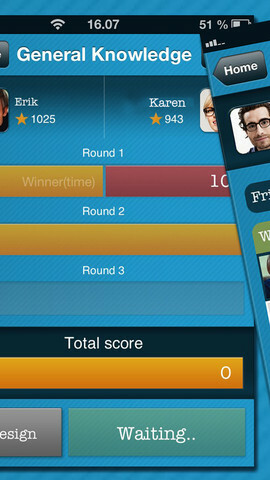 Trivia Fight Free is an iPhone game developed by Trivia Fight. 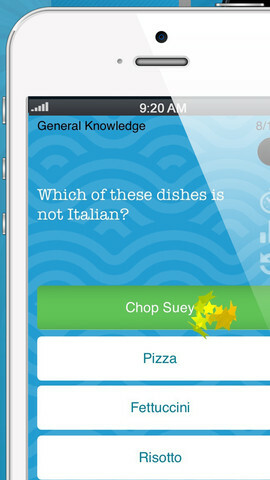 This social trivia game pulls from a database of 30,000 questions, though only about 3,000 are available for free. As someone who is more than a little obsessed with trivia games, I was super pumped to check this game out. I was the captain of my high school quiz team, and won a local pub quiz championship a few years back…clearly, this was an app I was excited to try out! The format of Trivia Fight Free is pretty straightforward. 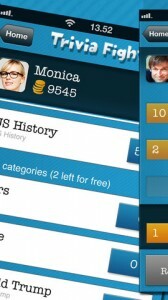 The game pairs you up with random players or Facebook friends (you can log in with Facebook or create an account.) Gameplay is turn-based, consisting of three rounds of 10 multiple-choice questions for each player. You and your opponent will be given different questions that are of a similar level of difficulty. I saw a lot of user reviews complaining about how crash-prone Trivia Fight Free was. I personally didn’t experience that. What I did experience, likely due to the game’s relative newness, was a really long wait to get paired with a random opponent. After several minutes, I got tired of waiting to get paired with a random opponent, so I picked a specific opponent (my roommate.) Unfortunately, the game froze on him and became unresponsive: he wasn’t able to get any of the on-screen buttons to work after completing one round of play. There was a good array of questions from different categories. However, some of the trivia questions didn’t really seem like trivia to me. For example, I got a question about how to get rid of germs on your skin (the answer was to wash yourself.) That doesn’t really seem like trivia to me, unless it’s trivia for really, really little kids. It’s kind of hard to tell who the target audience is at times: some questions are clearly for kids, while others are challenging for adults. One thing I didn’t like was the annoying “you’ve got three questions in a row correct” pop-up, as it blocked the bottom multiple choice answer on the next question for a short period of time. In a game where each question is timed, that’s a bit annoying. That notification should be moved elsewhere. 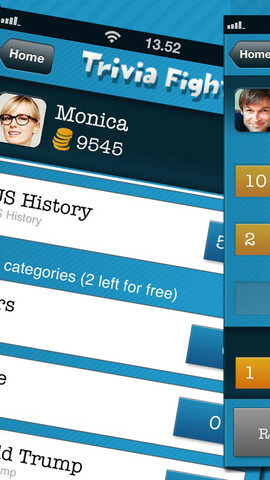 Overall, despite some flaws, Trivia Fight Free is worth checking out if you love social games or trivia contests. 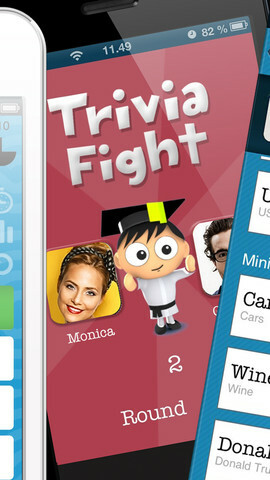 Trivia Fight Freeis compatible with iPhone 3GS, iPhone 4, iPhone 4S, iPhone 5, iPod touch (3rd generation), iPod touch (4th generation), iPod touch (5th generation) and iPad. Requires iOS 5.0 or later. This app is optimized for iPhone 5.